I wrote those words on Twitter a few weeks back on a particularly trying day, and since I've typed them, they've stuck with me. 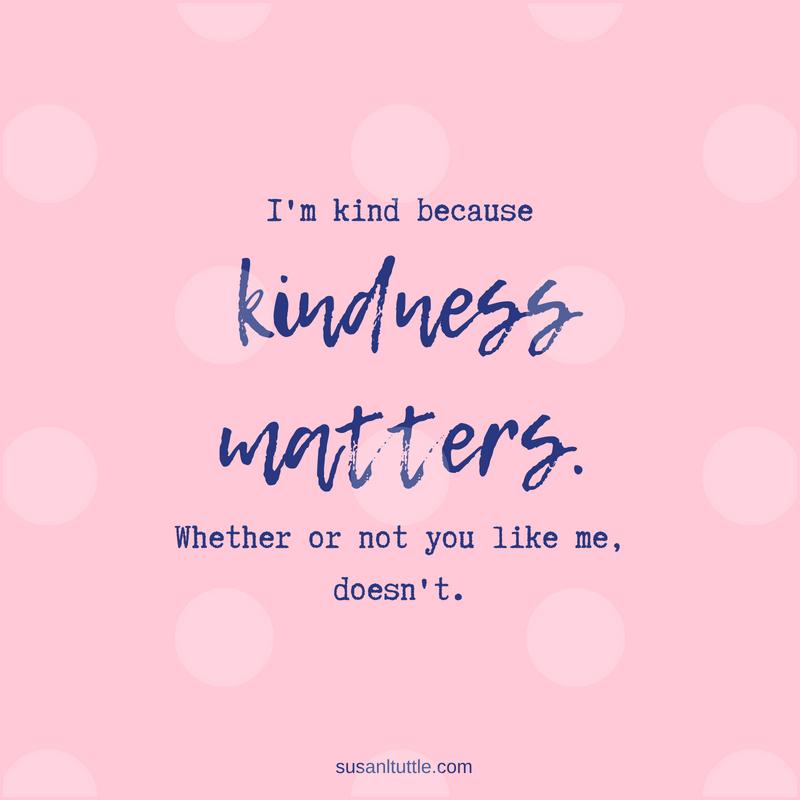 See, friends, kindness truly matters. So many of us are missing it in our lives. A well-placed smile. An encouraging word. A simple thank-you. These things matter in our lives and the lives of those we touch. 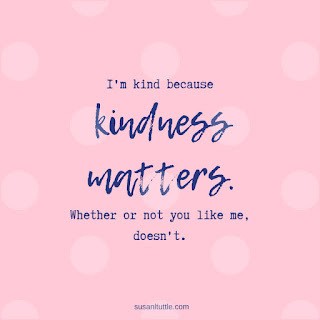 What doesn't matter is if we are liked by those we extend kindness to. Now, I"m not going to say that being liked isn't a really nice thing. I am a recovering people-pleaser. I understand the gut-ache that comes from people disliking you--especially when they don't particularly have a reason other than, well, they don't like you. I know what it's like to be on the outside of a circle. I've felt ridicule over unpopular choices I've made. I've been told I'm not cool--even as an adult. Yep. Just because we get older doesn't mean we all mature. And I'm learning it's all okay. No, it's not easy. But it is okay. Because the moment I start allowing other people's opinions of me to shape how I act, I've lost. Lost site of who God's called me to be. Lost my identity in Him. And lost out on following my purpose, because focusing on pleasing others is the quickest way to walk off the path he carved for me when he created me. So here's what I've learned. Whether or not others like me doesn't matter. It's inevitable that some won't--I'm not everyone's cup of tea. And some people are just plain old mean. What does matter is how I handle it. I'm choosing to handle it with boundaries, love, and my eyes fixed on Jesus. Because when I'm looking at him, everything else seems to fade away, my hurts begin to heal, and I'm filled with the ability to show kindness to others.